"You are not the kind of guy who would be at a place like this at this time of the morning." Saturday night the girlfriend and I went to the Odeon, the brasserie in TriBeCa that used to be the place for the bold faced names of the 1980's literary brat pack (Jay McInerney, Bret Easton Ellis, Tama Janowitz, etc). I've always enjoyed the work of those writers, though I always thought there was something tragic in the way that McInerney and Ellis never really recovered from the heights of hype to which they were subjected for their first novels (Bright Lights, Big City and Less Than Zero, respectively), though both have gone on to write fine, respectable novels later in life. So sitting in the Odeon where Ellis probably poured Ketel One on Corey Feldman, or whatever, I thought about New York in the 1980s, and how it's probably at the exact moment in the rearview mirror of pop culture history when we can start mythologizing it. I tried to track down a few shots of the Odeon in its heyday and failed, though I did turn up a number of great photos of New York(ers) in the '80s from the Google Life article that I thought was worth sharing. "The poor go under or go up or go wrong or even go on, somehow, in a way the poor have - but George O'Kelly was so new to poverty that had anyone denied the uniqueness of his case he would have been astonished." When Fitz hits on all cylinders he has a musicality to his lyricism that cannot be beat. 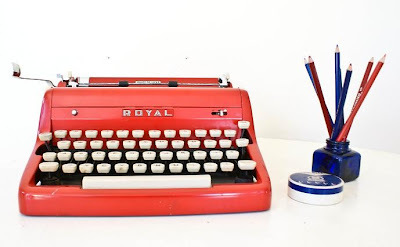 However, a lot of the short fiction he produced the steady-paying "slicks" like the Saturday Evening Post, Collier's and Red Book was a noticeable step down in quality. While he explored a lot of complex Americana themes in the short stories that he would later flesh out in his novels (North vs. the South, Wealth, Pursuit of Gilded Women, etc), most of the short stories have a workman-like quality that detract a bit from their enjoyment. However once in awhile he lets slip a beautiful sentence in the midst of an otherwise banal paragraph, as if to remind us that yes, we are still in the presence of a terribly gifted writer. All of these come from Poetic Home's Etsy Shop. 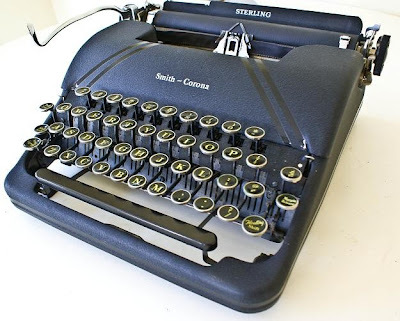 I've been thinking about getting a vintage typewriter as a reaction to this whole netbook obsession everyone is into. So my thought is just to take it to the next level: strip it down to the absolute basics. I got two words for you. 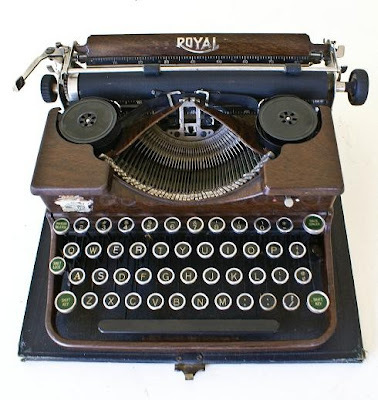 Word Processing. Whip one of these out at a cafe, and they'll know who's boss. 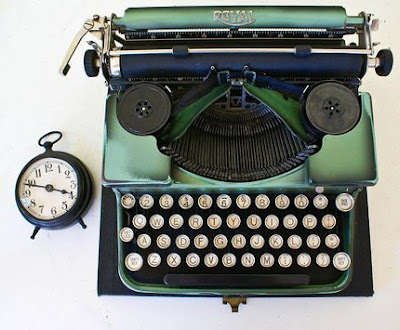 Some typewriters are better than others. Some of them have a beautiful symmetry. 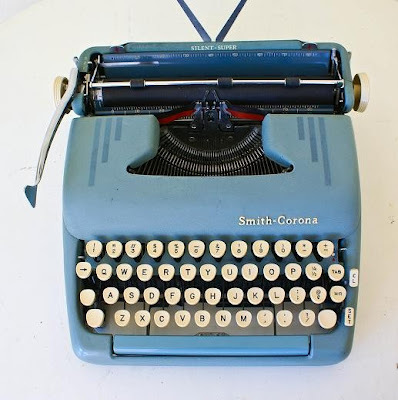 But frankly I don't know what is considered a "good" vintage typewriter over another. However, when I see a good curated collection I have reason to trust that the person organizing it knows what they're talking about. 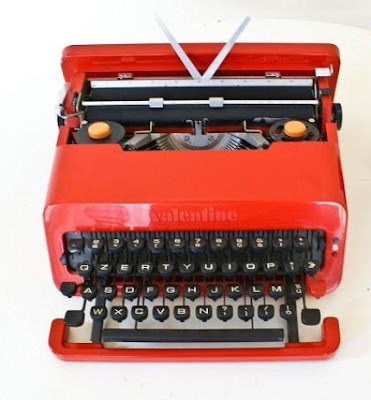 So as I browsed for vintage typewriters on Etsy I stumbled upon Poetic Home's Etsy collection. Definitely worth taking a look. Channel your inner Charles Bukowski and get drunk at the typer. Or pop a bunch of benzo's and write an American travel essay on a single sheet like Kerouac. Whatever you do, just write it. Over the past couple of weekends I noticed how the brunch crowd out Extra Virgin was literally spilling out into the streets. Walked around a bit more and found this was a recurring pattern. All photos taken September 20, 2009. This guy was all plaidout. 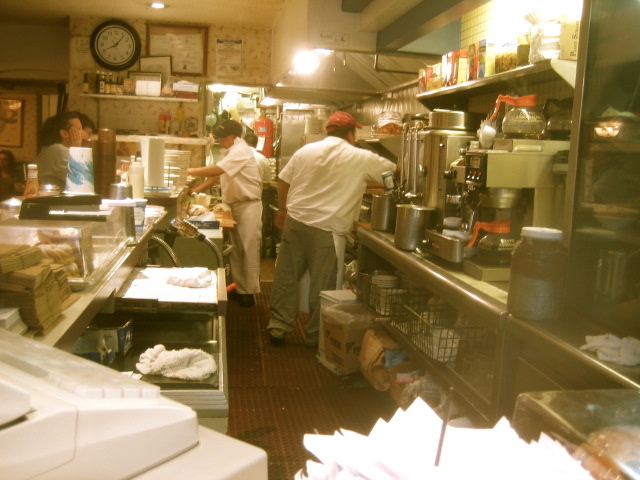 I was at work – July 2nd – and a couple of New York City blogs buzzed with the word that Joe Jr’s, the iconic West Village diner, lost its lease and was in danger of closing. My girlfriend was picking me up early from work to head up to Maine for the July 4th weekend. I had my bags packed, so the plan was to leave directly from Midtown and shoot straight up to Maine. I got in the car and told her, “We have to go to Joe’s.” Once I explained the events, she understood. 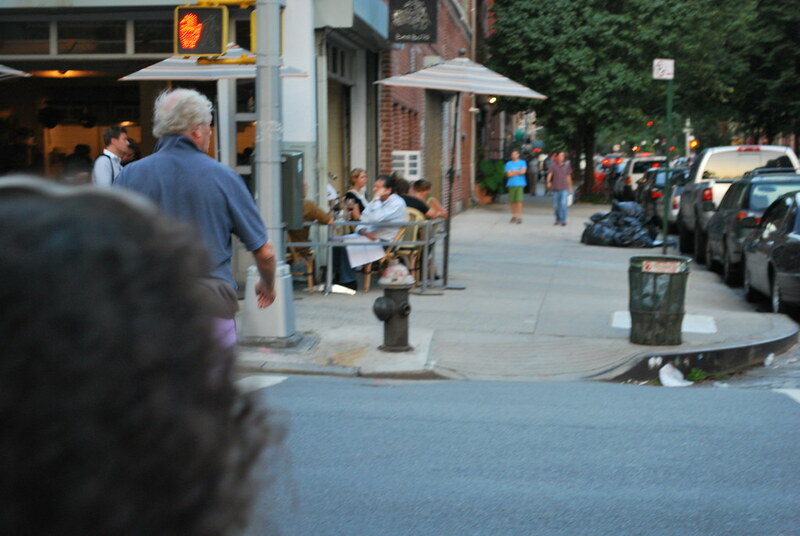 She drove me down Seventh and took a left on West 12th. Halfway up the street traffic stopped so I just got out and started running towards Joe’s as if I heard a loved one was in the hospital. I saw Greg manning the counter. “I came as soon as I heard,” I said. “I’m leaving for vacation but I had to stop here first. Is it true?” He nodded, and then in a spontaneous moment, we hugged. It was a moment of profound sadness but also one of appreciation – appreciation that I came by, and my own appreciation for the operation of a diner that meant so much to me. Photographers and newspaper reporters were there. Flashbulbs went off; I’m sure there’s a picture of me and Greg somewhere in the New York July 3rd newspapers. 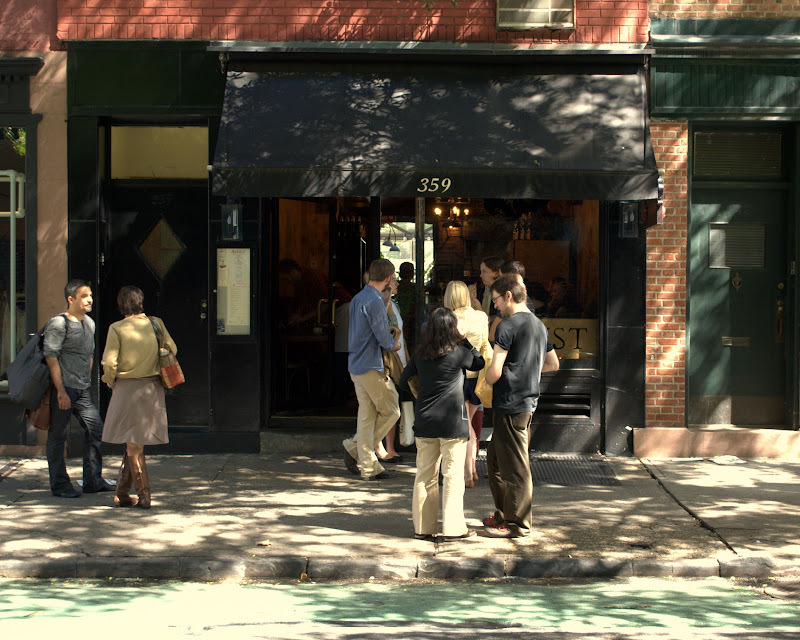 (Image from jeremoss' flickr page) Joe Jr's shortly before the closing. Let me take a step back. 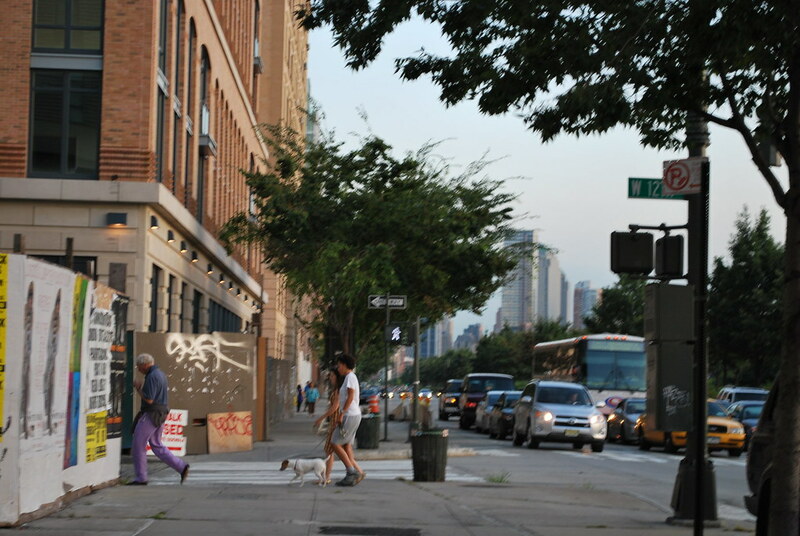 When I first moved into New York, I struggled to find myself here. Most of my friends landed in Boston after college, and despite the proximity to my hometown in NJ, NYC felt like an alien place. 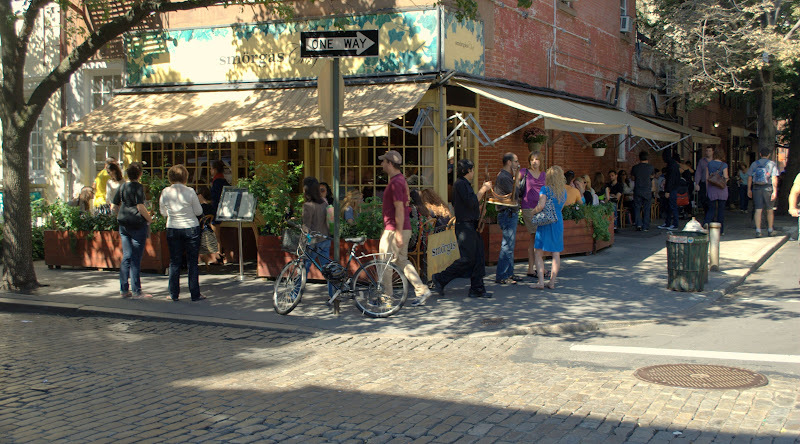 It wasn’t until I established routines and “places,” that I grew accustomed to New York, and eventually came to love it. Joe’s was that first place for me. 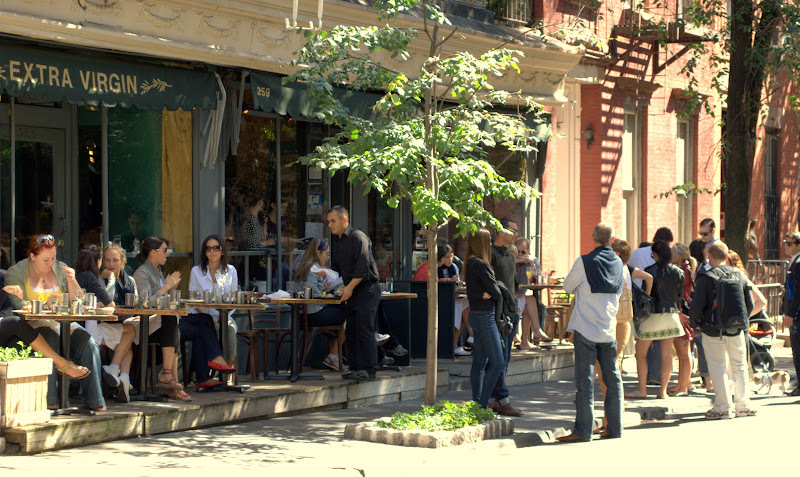 If you wanted to dine solo like me, you had a couple of options – saddle up on the counter, or take the “little table” near the front door with a view of Sixth Avenue. I saw John Waters at the little table more times than I can count. I was a “regular” on Saturday mornings. My plate of a western omelet, Canadian bacon, and whole wheat toast would arrive without any prompting. It’s an incredibly simple thing in hindsight, but the “regular” status had certain kind of currency for me. In a city in which I knew practically no one, I had a diner where at least I was recognized and taken care of. When you’re lonely and just out of college something that simple can take on magical status. You could say I gave Joe Jr’s a sort of personal mythology. It had these quirks that I came to love, like the idiosyncrasies of a family member you grow a fondness for. When I asked for the paper, I got the Post. If you asked about the game, you heard about the Yankees or the Giants. The diner patois (“whisky down,” “delivery!”) interspersed with random Greek sayings and the clatter of pots of pans became a sort of music. When I brought my girlfriend to Joe’s for the first time I felt like it was an introduction to a member of my family. The message was simple: this is a part of my life and I want to share it with you. Meet Mom, Dad, and Joe Jr. 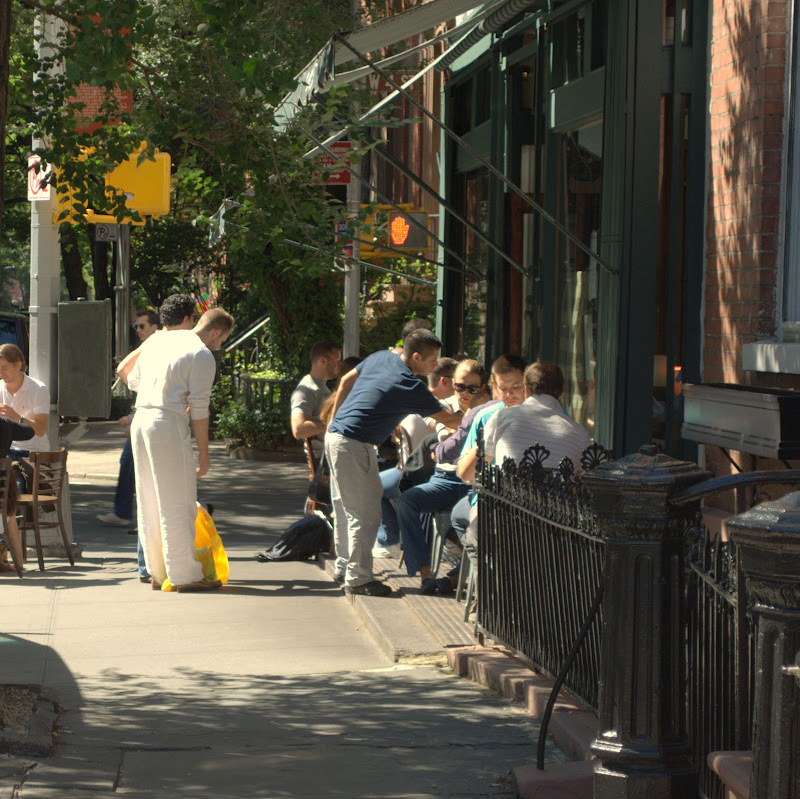 I would grab breakfast there before all my important exams – the Series 7 when I just started out in my job, and more recently the CFA exams. It was the closest I had to home cooking – the kind of food you crave when the outside world threatens you and all you can think about is comfort. Just eat, eat, and eat and the worry goes away. A few months after it shuttered, Joe’s storefront is still empty. The signs are gone and the windows boarded up. I wince a little bit every time I see it. It’s a constant reminder that the good things in this world are not permanent. 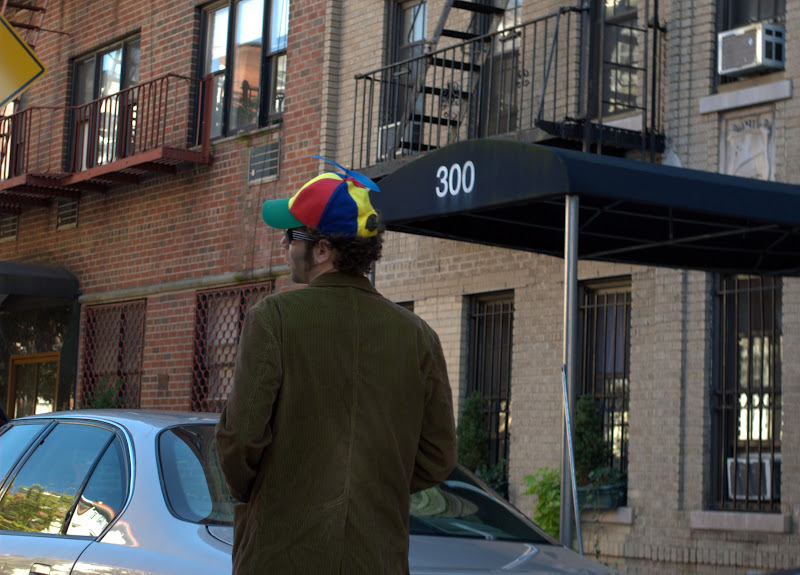 It was the first thing I cared about in New York that was lost, and it won’t be the last. 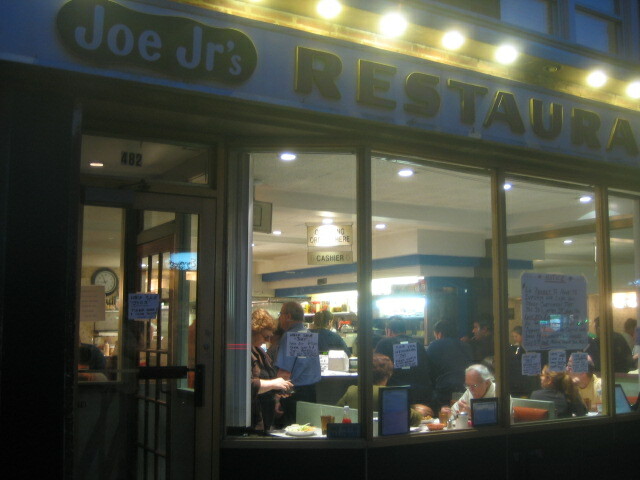 More importantly, Joe’s was the livelihood for a number great people. Greg, Nicky, Raul, Eric, Ramon… there are many others. I don’t know how things shook out, but I think of them a lot and hope they all landed on their feet. I know it’s strange to feel this way about a restaurant, but then again, not all restaurants go by a first name. Joe Jr, I miss you. I've spotted this car before on West 10th Street last spring, but when I saw it on my street last weekend I just had to give it another photoshoot. 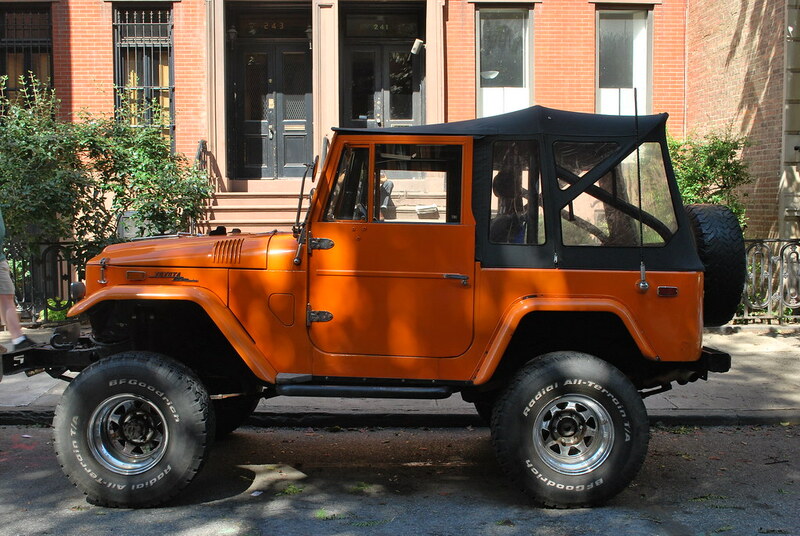 Admittedly, I'm not a big fan of SUVs, but I can appreciate good design and a terrific color when I see it. 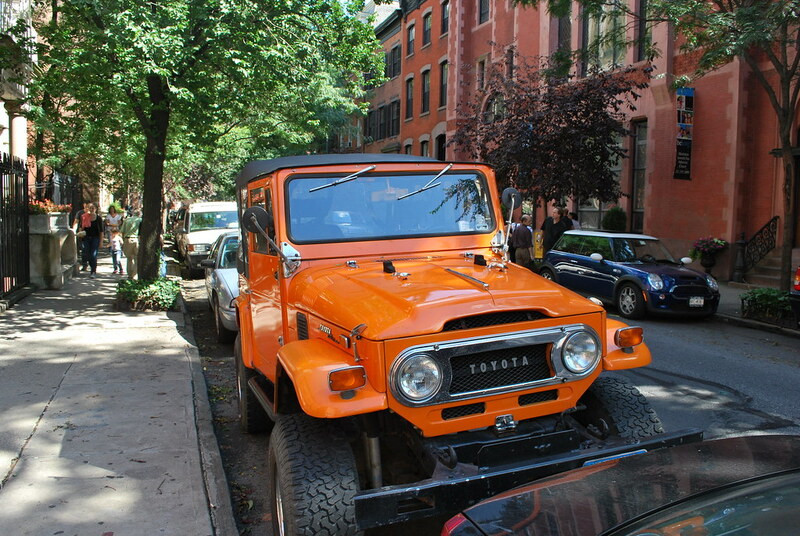 In a neighborhood of (beautiful) German automobiles like Audi, BMW, and Porsche, this one stands out against the crowd. Glad I took the pictures when I did - it was gone within a day. Is there any hobby or industry whose language is more laughable than wine? Bouquet, nose - the terms employed are insanely mockable. According to common winsdom, to understand wine you must first know how to speak wine among the cognoscenti, adopting an edifice of language that, like most snobbish pursuits, is really an exercise in obfuscation. In other words, manipulating language in order to keep hoi polloi at bay. So that's why I find Gary Vanerchuk's descriptions of wine really liberating. He speaks without the formalized pretense that, rather than "objectively" describing something, in reality creates artificial borders as to what is canonical language or not. On a side note, my first wine book, and still my favorite, is Mark Oldman's Guide to Outsmarting Wine. I would recommend it to anyone interested in getting down the basics of wine. It's very approachable, and I still go back to it time after time, even after graduating to the more refined books of Robinson, Immer, et al. We often see items of unique beauty in our daily lives but lack the foresight to document it. And yet sometimes if we are fortunate and do in fact document the event, we generally fail to share the insight with others. For that reason, I admire the street style photography of people like the Sartorialist and Mister Mort. Camera in tow, they find individuals whose individual style stand out in a sea of parity, or whose polished look cries out for proper documentation. 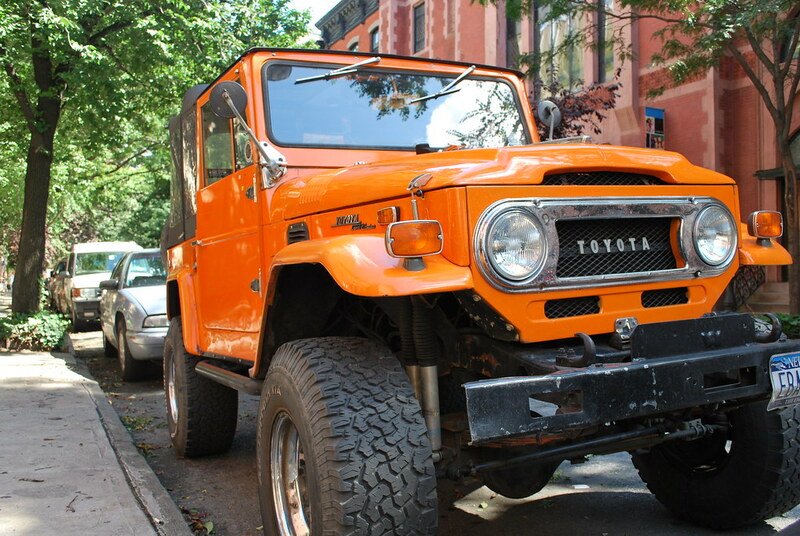 I often see things - especially in the West Village - that are clamor for attention too. But most times I'm too shy to snap a photo. Two weeks ago, though, I saw something that jump-started my attention and compelled me to take action. 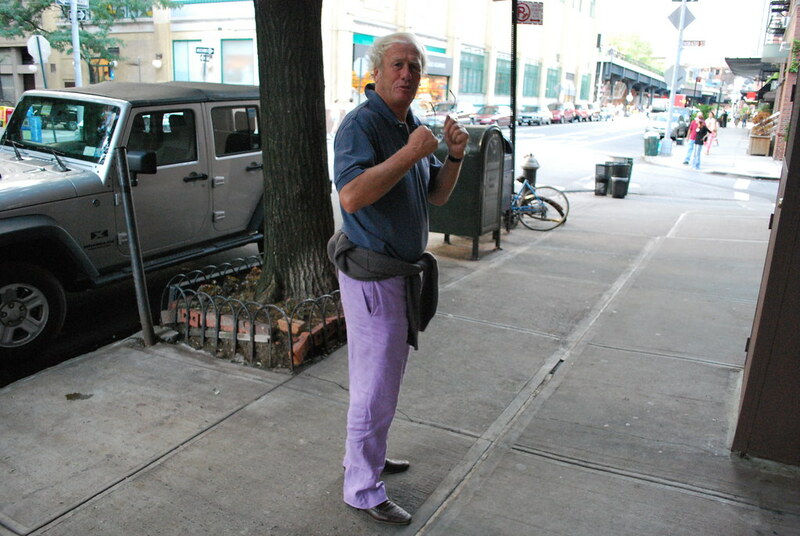 Purple Pants - a man after my own heart! I figured I would run up a little further to get a better look at the outfit. OK - so someone's head got in the way. I'm still getting the hang of my camera. But from here I saw the guy's very rakish, upturned collar! By Washington Street, I gathered enough courage to stop the guy and ask if I could take a photo (Well - A full picture of his outfit - obviously I already took two...) and he said sure! I asked if his pants were linen and he said yes - from France, his homeland. We chatted for a bit and he said his name was Gerard, but then apologized as he had to get on his way as he was in a rush. A few things - check out the full break on his pants. Recently I've been wearing my pants without a break, but he pulls it off with such a nonchalant air I may reconsider my style. Take a look closer: collar popped just so, hair slightly disheveled. A loosely tied sweater. Scruffy beard stubble. I hope to be half as cool as this guy when I'm his age. One final note - the great thing about his outfit, when put together, was something Castiglione in The Courtier called Sprezzatura, the studied art of appearing effortless. 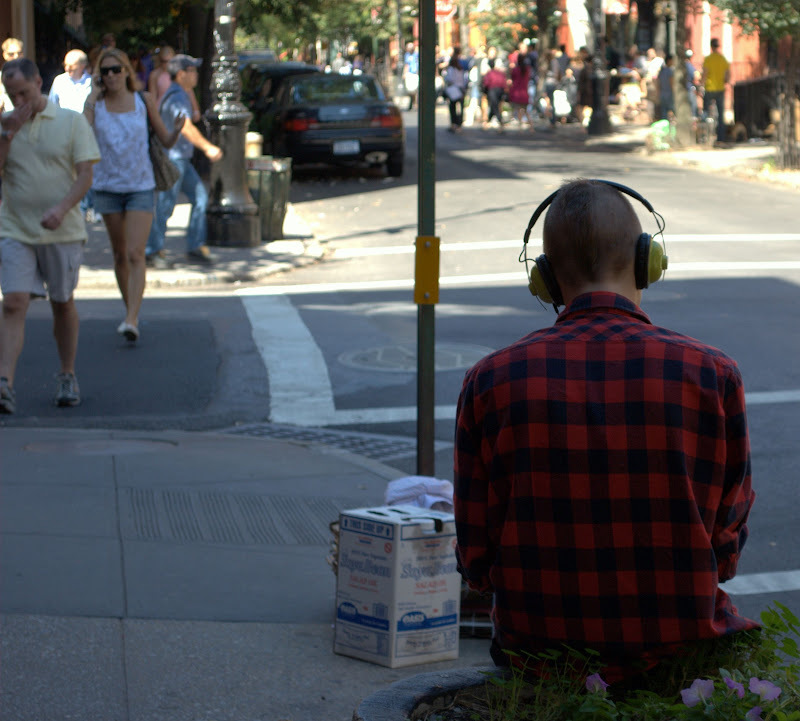 Is his style studied effortlessness, or is it naturally effortless? I can't tell - and for reason I think his style is masterful. I heard this song on WOXY a few weeks ago and fell obsessively in love. Placed it on a mix for DP's GF and then turned her whole family into fans of the song. So I figured, why not share it with everyone else? The Big Pink plays Bowery Ballroom in NYC on December 3rd, and the new album comes out next week. You can currently stream the whole thing on their website. I expect to find blueberry stands in Maine - or lobster shacks. That sort of thing. However I'll take a random grosgrain ribbon stand, anyday of the week. Found this roadside stand while driving with the girlfriend in Cape Porpoise (Kennebunk) and just had to stop. I hauled back the blue life preserver print on the bottom right. The key fobs were nice too. Best part - everything was on the honor system. As a fan of Wall Street history I have a real sweet spot for firms that are no longer with us. Call it irreverence, but to me there is nothing cooler than seeing an old Salomon Brothers tote on the subway, and if you had some Long-Term Capital Management notepads I'd gladly take it off your hands. So I was really interested to hear a few months back that Lehman Brothers would be selling off all their corporate swag on eBay to liquidate their assets for the bankruptcy proceedings. The first thing that popped into my head was - Lehman banker bags! 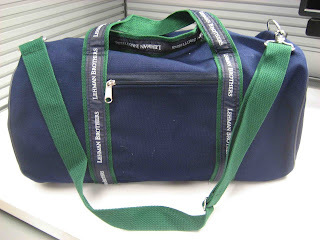 Sure enough, I was able to pick up a brand new banker bag perfectly sized for the gym or overnight trips - or simply a reprieve from the Jack Spade messenger. I get a lot of compliments from strangers and they get a kick when I tell them I pulled it off eBay. Unfortunately I haven't been able to find the bag re-listed on eBay - until now. At $20 (they have many in stock), it's really a great pickup for any fan of financial history, or someone just interested in getting a versatile - albeit irreverent - bag. "A brisk, clever new book, “The Invisible Hook” (Princeton; $24.95), by Peter T. Leeson, an economist who claims to have owned a pirate skull ring as a child and to have had supply-and-demand curves tattooed on his right biceps when he was seventeen, offers a different approach." Supply and Demand: because that's probably what a teenager who reads Friedman and Keynes thinks is cool to name his biceps. This sentence is beautiful, mostly because of its sheer improbability. "A nobel prize-winning economist," or "renowned economist" - we've all seen that. But to introduce an economist via an anecdote about his nerdy tattoos? That's hardly an inferior good.